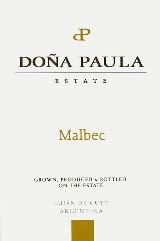 I opened a 2007 Dona Paula Malbec over the weekend and was really impressed with its quality for a $12.99 wine. The wine has a beautiful nose that is dark burgundy in color. On the palate you get dark berries and maybe something like plum. It is rich and smooth like a nice piece of chocolate. The tannins were mild with a lingering finish. You won’t notice much acidity with from this dynamic young winery. It’s hard to imagine any Malbec lover not enjoying this lovely red wine. This wine has been noticed by the critics. It has consistently been rated around 90 points on the oft-used 100-point scale. I most recently saw it at The Bottle Shop in West Lafayette but it is widely distributed. Dona Paula started its operation in 1997. The resume of the estate’s three winemakers is impressive. 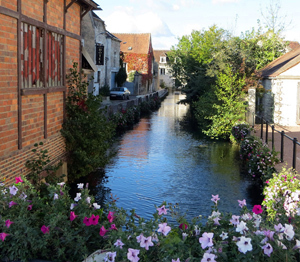 The trio studied winemaking in Chile, France, Italy, and Argentina. Dona Paula also has a beautiful website. Check it out here. Malbec continues to just explode. I came across an interesting factoid that 40 percent of Argentina’s wines now come to the United States. Exports here tripled between 2002 and 2006.